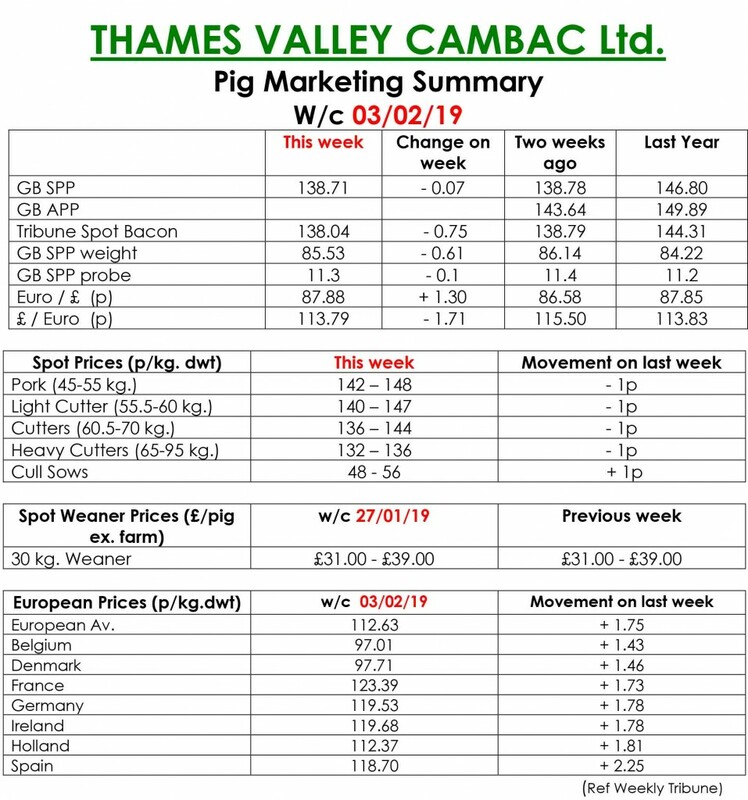 This week’s Slaughter Pig Marketing Summary, from Thames Valley Cambac, reported that trading was just more of the same! Demand remained very subdued, but most of the majors took their committed numbers. Prices continued to slide, with one monthly contract contribution down substantially. Supply remained ample for the mediocre demand, but forecasts suggest an imminent tightening. The fresh meat trade fared no better, with January pay packets having little effect on high street spend. The cull sow market saw a welcome penny increase, on the back of currency. Prices in Europe were static again, and enhanced in sterling terms by a stronger Euro, that ended the week up 1.3p at 87.88p. The Weaner Marketing Summary, for week commencing January 27, reported that demand improved again, with some fatteners having confidence to return to the market. Supplies, however, saw little improvement, as production remained poor. The prices announced by the AHDB saw no quote given for a 30kgs store, and the weighted average for a 7kg weaner fall by 86p to £34.70.